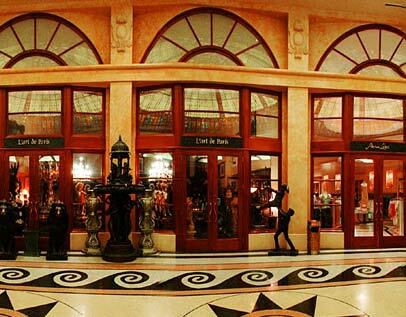 Ballys Retail shops number more than 20 shops that have chocolates, designer apparak and souvenirs for sale. You have a wide variety of choices at Ballys Avenue Shoppers, with an endless amount of fine clothing, objects and sweets to choose from. Getting There: The shops are on the level below the main casino. Enter through the back of the casino through the escalators. Details: There are more that 20 shops with a wide range of products like jewelry, clothing, flowers, chocolates, and more.